First of all, if you don’t know what eMAG Hackathon is, you can read all about it here. 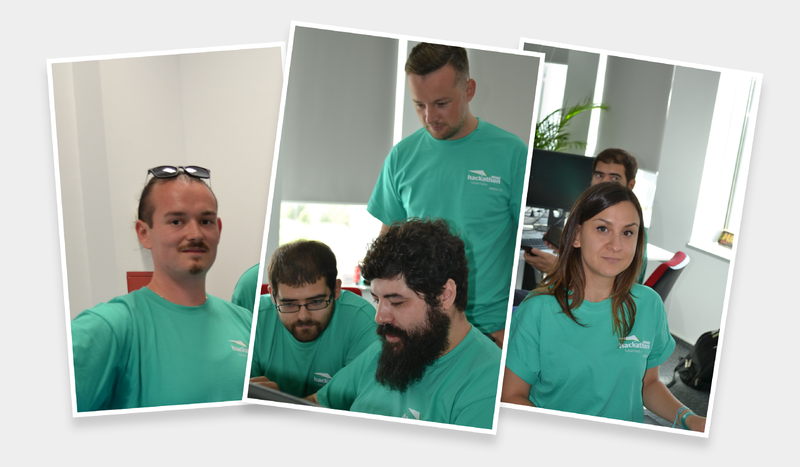 I will jump directly into presenting the Big Datowski team, the winner of Best Customer/ User Experience Award: three gifted Software Developers (myself, Bogdan Mătăsaru and Vlad Fătu), one amazing Project Manager (Luminița Fediuc) and one awesome UX Designer (Radu Ene). We decided to work on a project focusing on Internet of things. As users of IFTTT, we thought it would be a good idea to design a service which would expose eMAG on IFTTT, and then connect to almost any number of the many services already available on the platform (more on that in a moment). Unfortunately, in order to develop a standalone service on IFTTT one would need to apply for a partner account, but we didn’t get access to a demo account in time. Still, we were able to demo what a service would work like using a regular account and the Webhooks integration.